The AVGVS Myriantha Saddle Bag is a classic cross-body saddle bag with an understated edge. This colorway features lucertolina-textured italian calf skin, trimmed with smooth nappa. It is secured with with a push-lock closure in silver-tone hardware and finished with silver hardware throughout. 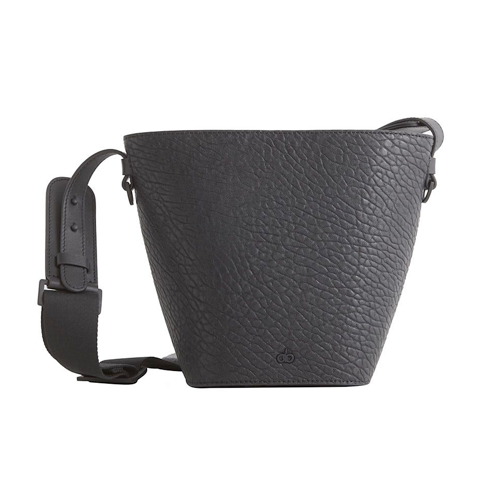 The Myriantha features an adjustable leather strap for your convenience. The interior is fully lined in matching organic cotton canvas with leather trim and features smart phone pockets and a zipped compartment. A feature our customers rave about is the back pocket, great for slipping your phone into without having to open the entire bag. A fabulous design feature is the two side-rings - think about accessorising with our beautiful Thevetia tassel in navy blue for a perfect finish to your understated luxe look.